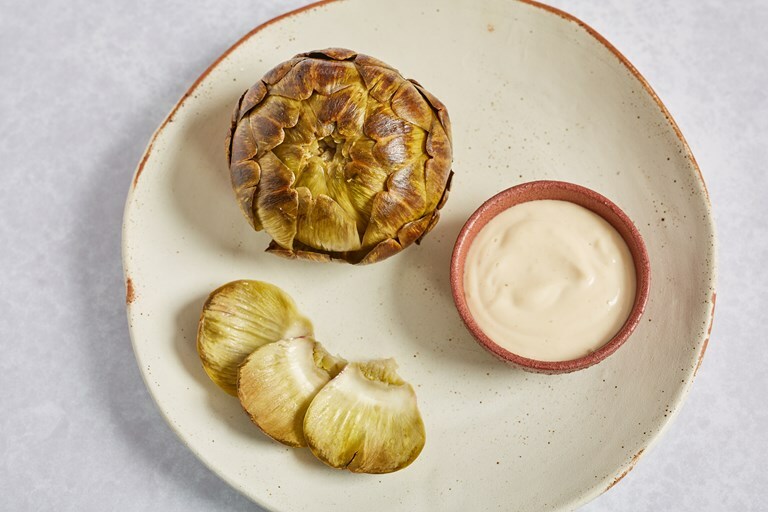 Artichokes have a reputation for being a bit fiddly – preparing them requires a bit of surgery before you get to the pleasurable business of eating them. 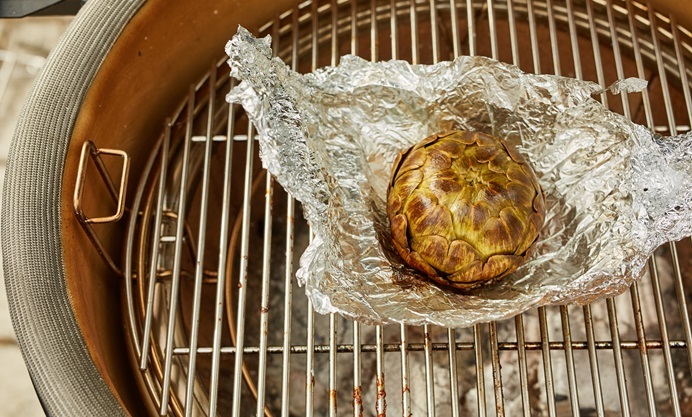 This recipe removes all the faff, as all you have to do is wrap the artichokes in foil and tuck them into the coals of the barbecue whilst you get on with cooking other things. 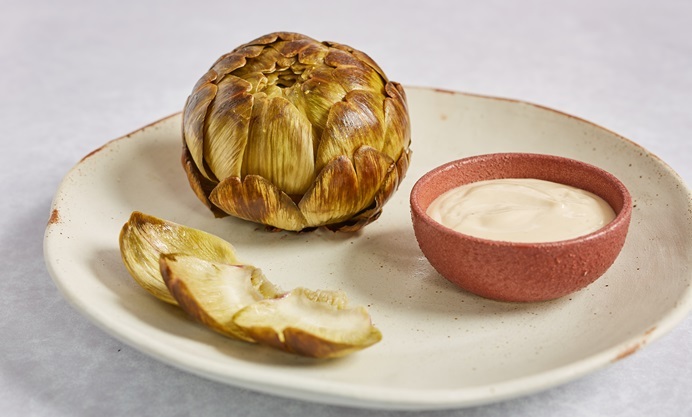 The smoked garlic mayonnaise that goes alongside is a godsend too – smoke lots of garlic at once and make a big batch! 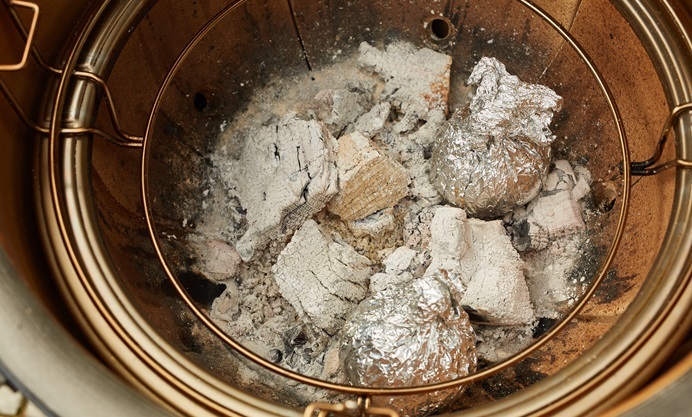 When you're smoking your garlic, it's worth thinking about what wood you want to use – fruit woods like apple, cherry and peach will give you a more delicate flavour and aroma, whereas hardwoods like oak and hickory have a more pronounced, bullish smokiness.